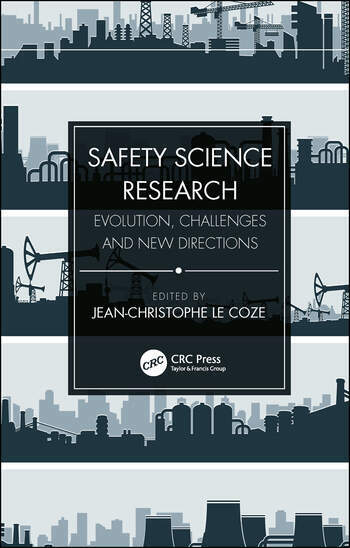 Safety Science Research: Evolution, Challenges and New Directions provides a unique perspective into the latest developments of safety science by putting together, for the first time, a new generation of authors with some of the pioneers of the field. Fourty years ago, research traditions were developed, including, among others, high-reliability organisation, cognitive system engineering or safety regulations. In a fast-changing world, the new generation introduces, in this book, new disciplinary insights, addresses contemporary empirical issues, develops new concepts and models while remaining critical of safety research practical ambitions. Their ideas are then reflected and discussed by some of the pioneers of safety science. Some figures in the eBook are in color. Part 1: New Generation. Chapter 1: Standardization and digitalization. Changes in work as imagined and what this means for safety science. Chapter 2: The interaction between Safety Culture and National Culture. Chapter 3: GOVERNANCE FOR SAFETY IN INTER-ORGANIZATIONAL PROJECT NETWORKS. Chapter 4: Coping with Globalization. Robust Regulation and Safety in High-Risk industries. Chapter 5: On Ignorance and Apocalypse: A Brief Introduction To ‘Epistemic Accidents’. Chapter 6: Revisiting the issue of power in safety research. Chapter 7: Sensework. Chapter 8: Drift and the Social Attenuation of Risk. Chapter 9: Safety and the professions: natural or strange bedfellows?. Chapter 10: Visualising Safety. Chapter 11: The discursive effects of Safety Science. Chapter 12: Investigating accidents: The case for disaster case studies in safety science. Chapter 13: Towards actionable safety science. Chapter 14: Safety Research and Safety Practice: Islands in a Common Sea. Part 2: Pioneers. Chapter 15: Safety Research: 2020 Visions. Chapter 16: The gilded age?. Chapter 17: Observing the English Weather – a Personal Journey from Safety I to IV. Chapter 18: A CONUNDRUM FOR SAFETY SCIENCE. Chapter 19: Some Thoughts on future directions in Safety Research. Chapter 20: Redescriptions of high-risk organizational life. Chapter 21: Skin in the Game: When Safety Becomes Personal. Jean-Christophe Le Coze is a safety researcher (PhD, Mines ParisTech) at INERIS, the French national institute for environmental safety. His activities combine ethnographic studies and action research in various safety-critical systems, with an empirical, theoretical, historical and epistemological orientation.